I would like to share this latest edition of Dr. Uffe Ravnskov's newsletter. Dr. Ravnskov is a Swedish clinician, professor, and researcher with vast knowledge and experience, and he is also a true medical hero for standing up to the medical establishment. 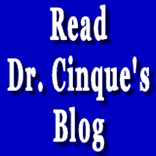 Here, he discusses the phony claim that statin drugs protect against cancer. If anything, they increase the risk of cancer, which multiple studies have shown. The demonization of cholesterol is surely one of the biggest rackets the medical establishment has ever engaged in for the sake of selling billions of dollars worth of cholesterol-lowering drugs, and nobody has called them on it better than Dr. Uffe Ravsnkov. Last month Danish researchers published a paper in New England Journal of Medicine entitled Statin use and reduced cancer-related mortality. They had studied how many people who had got cancer in Denmark between 1995 and 2007, how many who had died from cancer and how many of them who had been treated with statins before the cancer was discovered. What they found was that fewer had died among those who had got a statin prescription some time during this period. Therefore they concluded that statin treatment protects against cancer.